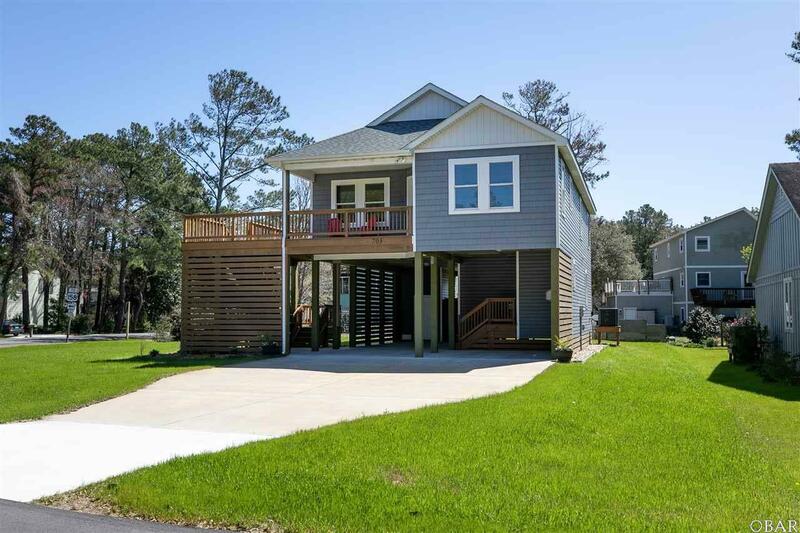 Like New Custom Quality Built Home located in the quaint town of Kill Devil Hills, the house was completed in July 2016. Extra Large Corner Lot, 11,643 SQFT in size, nicely landscaped, not too often do you find a property with this much land in Kill Devil Hills. Main level includes Cathedral Ceilings in the open Living, Kitchen and Dining area, with Hardwood Floors, White Shaker Cabinets, Granite Countertop and Stainless Steel Appliances. There also three Bedrooms on this main level with one of them being an En-Suite with Private Bath and Walk-in closet. An additional Guest Bath is on this floor, with hardwood floors in the hallway, ceramic tile in both baths and wall to wall carpet in the bedrooms. The first floor has a dry entry way, a laundry room, Full Bath all with ceramic tile flooring and a very large Fourth Bedroom that could also be used as a second living room, entertainment area with wall to wall carpet. The Parking Bay is spacious enough to allow a boat or RV to park underneath the house. There is an additional Storage space, along with an outside shower and plenty of yard. The Attic space has 200 SQFT of floored space for additional storage, which make this home a perfect property for year round residence or second home weekend getaway. The property is adjoined to the multi-use path that takes you to Bay Drive to enjoy those beautiful Sunsets or head a little further South to the Wright Memorial. 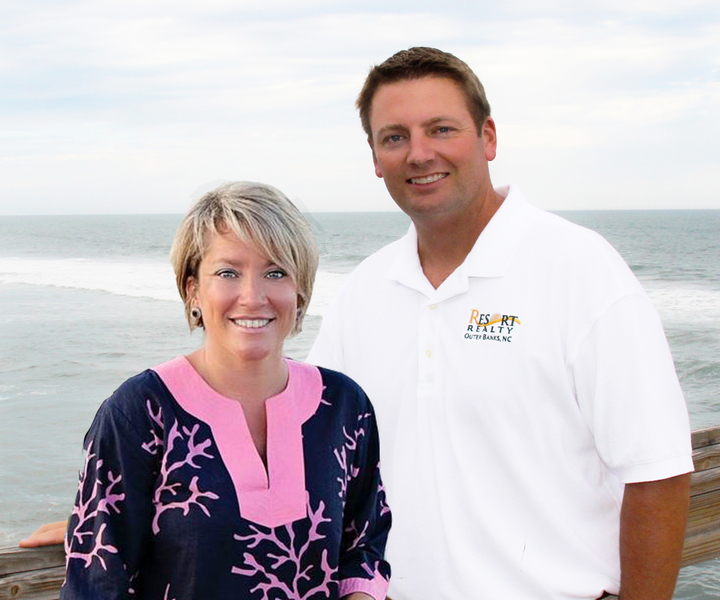 There is so much to do in Kill Devil Hills centrally located, close to the Beach, Shopping and the sound, or take your bikes out for a ride or run on the nice multi-use path. House is AE Flood Zone, but was built above flood elevation, see associate doc for the original as built survey and elevation certificate.